I showed a sneak peek of one of the others a month ago. My inspiration for this card came from one I saw on Pinterest, but I did change it up a bit. 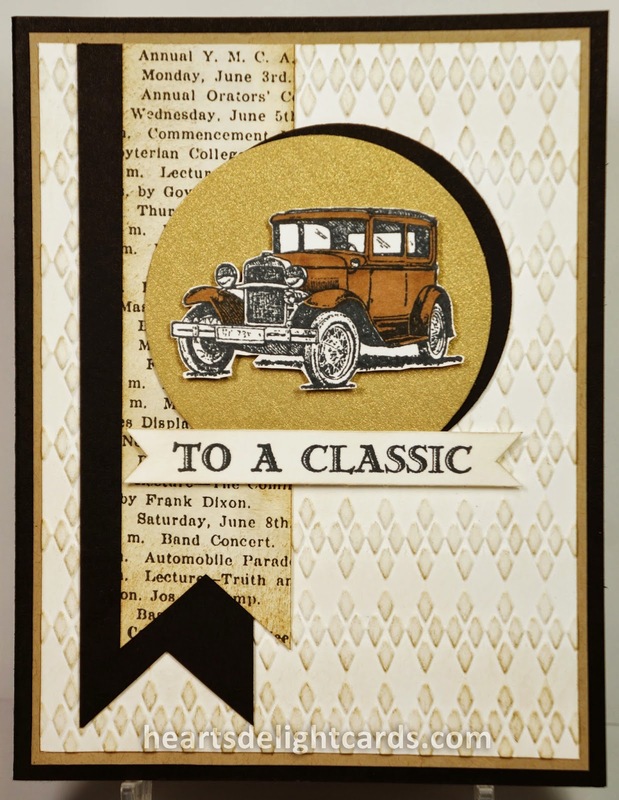 I thought the Argyle embossing really suited the classic car. That Guy Greetings stamp set is awesome! Having a classic car is perfect for my needs, since I'm at the age where most of the men I know are old timers "classics". Shhhh, don't tell them I said that! OMGosh this is so fabulous, I love it. "Classics"... haha. This card reminds me a little of The Great Gatsby. I was going to say "geezers", but thought that was kind of harsh, lol! I've Been Nominated - Creative Crew Blog Hop!